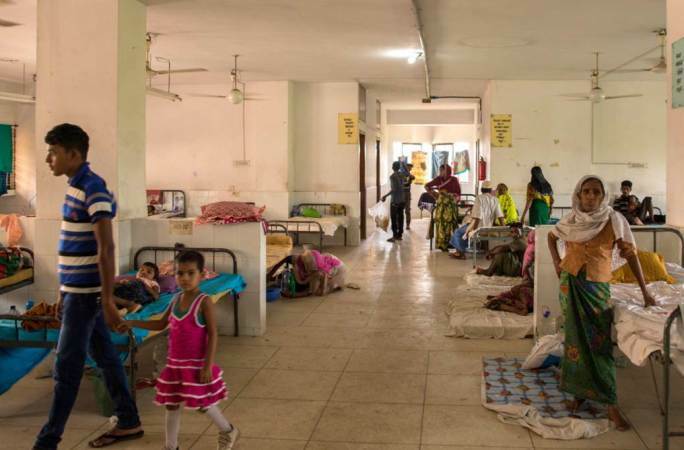 The Anti-Corruption Commission (ACC) on Monday found that about 62 percent physicians are absence at eight govt hospitals in seven districts while 40 percent in three hospitals in Dhaka. The national anti-graft agency came up with the information after conducted sudden drives from 9:00am to 2:00pm at 11 hospitals and health care centers across the country. ACC got allegations through it hotline 106 that the service seekers are facing harassments and depriving health care services at the government hospitals across the country due to absence of the physicians. Following the allegation, the ACC’s ten enforcement teams conducted sudden drives at three hospitals of Dhaka and eight hospitals of Rangpur, Rajshahi, Dinajpur, Tangail, Mymensingh, Kusthya and Pabna districts in the country. On average only 40 percent doctors were present at the 11 hospitals, as the ACC teams found that only 92 doctors were present at 11 hospitals though 230 doctors supposed to present. Of them, the scenario is worst at the eight hospitals of seven districts where 61.8 present doctors found absence at their working places. Only 81 doctors against 131 on-duty doctors were found present at the rural hospitals. “ACC will on hard line against the negligence of duties. ACC will monitor at the health sector across the country to curb corruption, he added.